Adds a suspend button to your posts and threads. 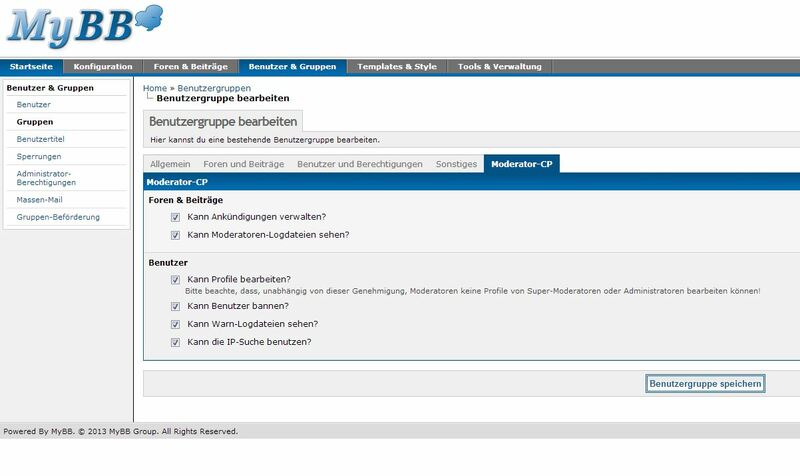 OUGC Moderation Tools Permissions 1.1 von Omar G.
OUGC Post Character Count Enhancement 1.1 von Omar G.
Prevent those sneaky spammers from abusing your forum. 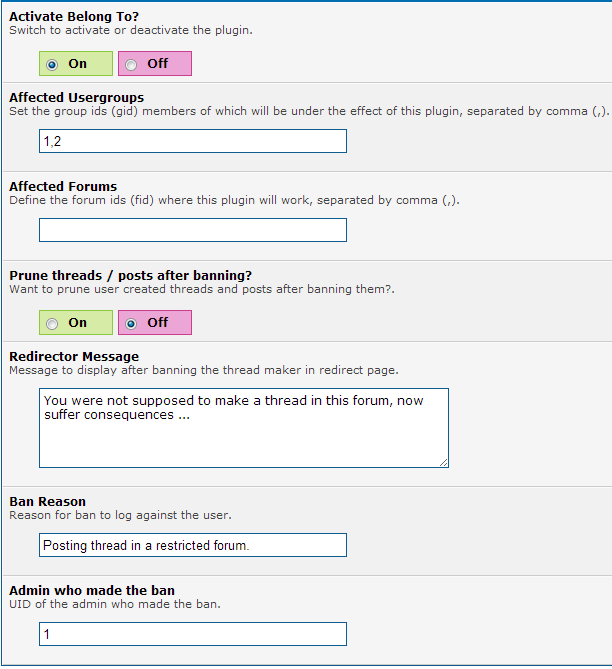 A Plugin for MyBB to ban a user on posting in a certain forum. 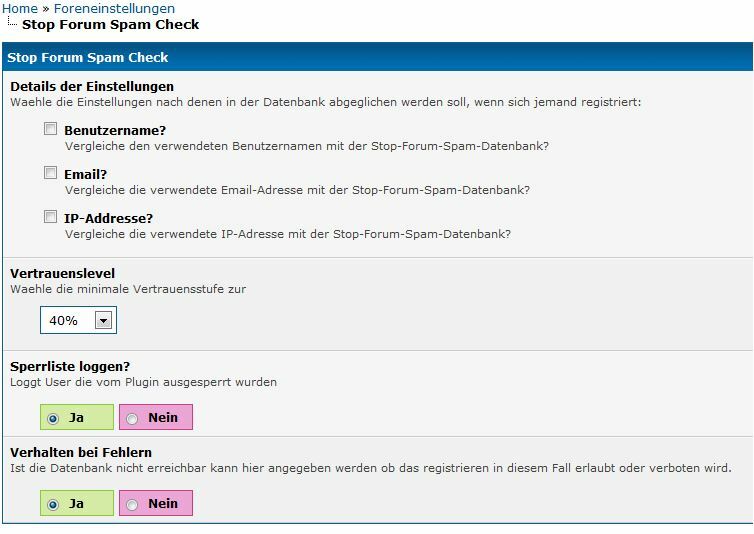 Stopforumspam.com für MyBB - Spam Abwehr 1.6 von Tim B. 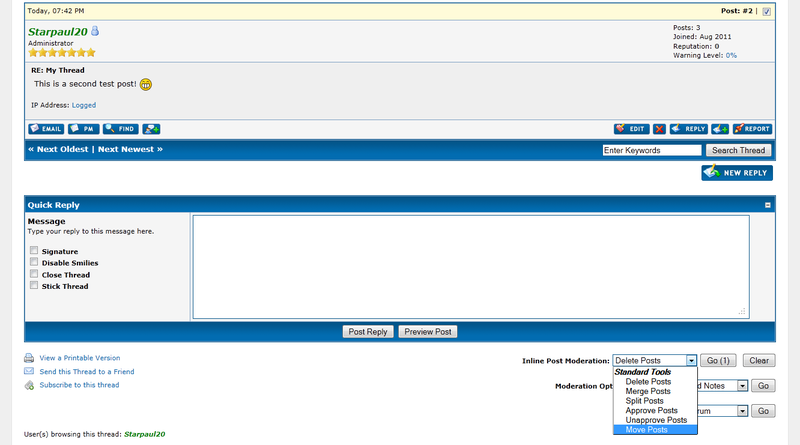 Allows you to log all edits made to posts.